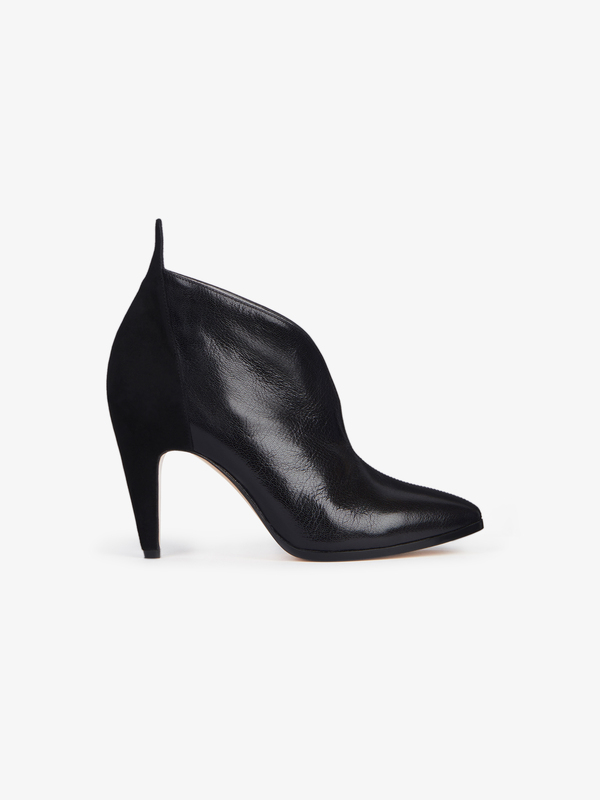 GV3 pointed-toe ankle boots in black grained leather with inset in black suede on the heel. V-shaped cut-out on the front. Metallic silver leather interior. Heel height: 3.7 in.